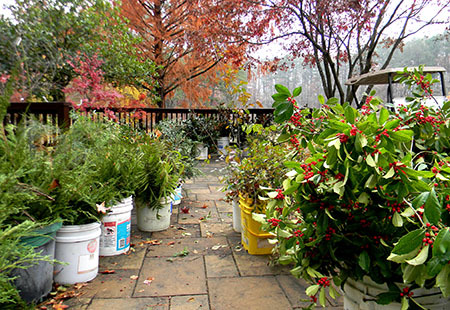 Description: Greenery Sale - Saturday, December 1st from 9 a.m to 1 p.m.
Now is the time to decorate your mantles, mailboxes, and entryways to set the mood for the holidays. So decorate with fresh greenery, botanical materials from Aldridge Gardens! Get greenery for wreaths, garlands, and other holiday decorations!